Robert Hutchens is a Professor in the Department of Labor Economics at Cornell’s ILR School. 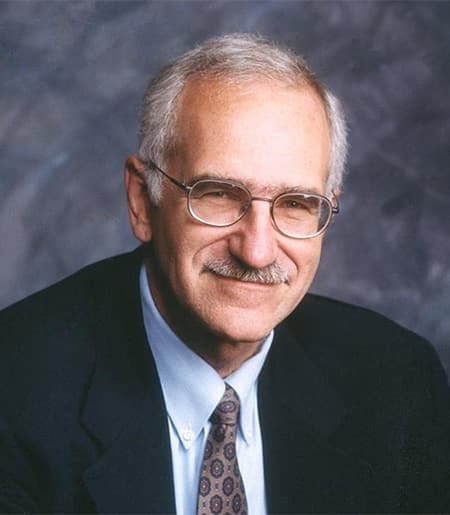 He received his Ph.D. in economics from the University of Wisconsin in 1976, specializing in labor economics, public finance, and econometrics. His teaching focuses on labor economics and on the economics of government tax and transfer programs. His early research dealt with the economics of government transfer programs, with an emphasis on social security, unemployment insurance and Aid to Families with Dependent Children. More recently his research has concentrated on the labor market for older workers. As part of this research focus, he recently completed a survey of employers that examined employer policies toward phased retirement. Professor Hutchens served as a Policy Fellow at the Brookings Institution, as an Associate Editor at the Industrial and Labor Relations Review, as Chairman of the Department of Labor Economics, and as a Research Fellow at the Institute for the Study of Labor (IZA). He has held visiting positions at the University of British Columbia, at the U.S. Department of Health and Human Services, and at the International Labor Organization. He is currently the Director of the Cornell in Washington program. Robert Hutchens focuses his research on the labor market for older workers as well as the problem of developing measures of labor market segregation. His most recent article is "Symmetric Measures of Segregation, Segregation Curves, and Blackwell's Criterion," Mathematical Social Sciences. Robert Hutchens. 2010. Worker Characteristics, Job Characteristics, and Opportunities for Phased Retirement, Labour Economics . 17(6):1010 - 1021. Robert Hutchens, Karen Grace-Martin. 2006. Employer Willingness to Permit Phased Retirement: Why Are Some More Willing than Others?, Industrial and Labor Relations Review . 59(4):525-546. Robert Hutchens. 2004. Erratum to 'Numerical measures of segregation', Mathematical Social Sciences . 47:259-260. Robert Hutchens. 2004. One Measure of Segregation, International Economic Review . 45(2). Natasha Cabrera, Robert Hutchens, H Elizabeth Peters. 2002. From Welfare to Child Care, Poverty Research News . 6(2):11-13. Robert Hutchens, Vivian Fields. 2002. Regulatory Obstacles to Phased Retirement in the For-Profit Sector, Benefits Quarterly . 18(3). Robert Hutchens. 2001. Numerical Measures of Segregation: Desirable Properties and Their Implications, Mathematical Social Sciences . 42(1). Robert Hutchens. 1999. Social Security Benefits and Employer Behavior: Evaluating Social Security Benefits as a Form of Unemployment Insurance, International Economic Review . 40(3):659-678. Robert Hutchens. 1991. Segregation Curves, Lorenz Curves, and Inequality in the Distribution of People Across Occupations, Mathematical Social Sciences . 21(1):31-51. Robert Hutchens, George Jakubson, Saul Schwartz. 1989. AFDC and the Formation of Subfamilies, Journal of Human Resources . 24(4):599-628. Robert Hutchens. 1989. Seniority, Wages, and Productivity: A Turbulent Decade, Journal of Economic Perspectives . 3(4):49-64. Robert Hutchens. 1988. Hiring the Older Worker: Do Job Opportunities Decline with Age?, Industrial and Labor Relations Review . 42(1):89-99. Robert Hutchens. 1987. A Test of Lazear's Theory of Delayed Payment Contracts, Journal of Labor Economics . 5(4):S153-S170. Robert Hutchens. 1986. The Effects of the Omnibus Budget Reconciliation Act of 1981 On AFDC Recipients: A Review of the Studies, Research in Labor Economics . 8(B). Robert Hutchens. 1986. Delayed Payment Contracts and a Firm's Propensity to Hire Older Workers, Journal of Labor Economics . 4(4):439-457. Robert Hutchens. 1983. Layoffs and Labor Supply, International Economic Review . Robert Hutchens. 1981. Distributional Equity in the Unemployment Insurance System, Industrial and Labor Relations Review . Robert Hutchens. 1981. Entry and Exit Transitions in a Government Transfer Program: The Case of Aid to Families with Dependent Children, Journal of Human Resources . Robert Hutchens. 1979. The Effect of Policy Parameter Changes on the Distribution of Unemployment Insurance Benefits, National Tax Journal . Robert Hutchens. 1979. Welfare, Remarriage, and Marital Search, American Economic Review . 69(3/4):369-379. Robert Hutchens. 1978. Changes in AFDC Tax Rates, 1967-1971, Journal of Human Resources . 13(1):60-74. Natasha Cabrera, Robert Hutchens, Elizabeth Peters. 2006. From Welfare to Child Care: What Happens to Young Children when Single Mothers Exchange Welfare for Work?. Mahwah NJ, United States: Lawrence Erlbaum, 2006. Robert Hutchens, Jennjou Chen. 2007. The Role of Employers in Phased Retirement: Opportunities for Phased Retirement Among White Collar Workers. in Work Options for Mature Americans. Notre Dame Press, 2007. Teresa Ghilarducci, John Turner. Robert Hutchens, Emma Dentinger. 2003. Moving Toward Retirement: Employers, Older Workers, and Reduced Work Schedules. in It’s About Time: Couples and Careers. Ithaca NY, United States: Cornell University Press, 2003. Phyllis Moen. Robert Hutchens. 1994. Employer Policies for Discouraging Work by Older People: The U.S. Experience. in Between VUT and Shukko: Firm Level Practices of Early Exit and Lifelong Work in Industrialized Countries. New York; Berlin: Walter de Gruyter & Co., 1994. Frieder Naschold, Bert de Vroom. Robert Hutchens. 1993. Restricted Job Opportunities and the Older Worker. in As the Workforce Ages: Costs, Benefits, and Policy Challenges. Ithaca NY, United States: ILR Press, 1993. Olivia Mitchell. Robert Hutchens, Robert Lampman. 1989. The Future of Workers' Compensation. in New Perspectives in Workers' Compensation. Ithaca NY, United States: ILR Press, 1989. John Burton. Robert Hutchens. 1980. Joint Determination of Quits and Layoffs. in Unemployment Compensation: Studies and Research. National Commission on Employment Compensation, 1980.